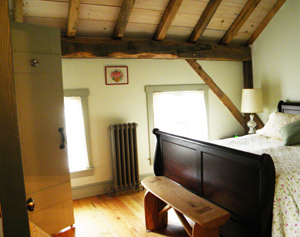 Our Master Bedroom has a Queen size bed, private bathroom, with cast iron tub & shower. 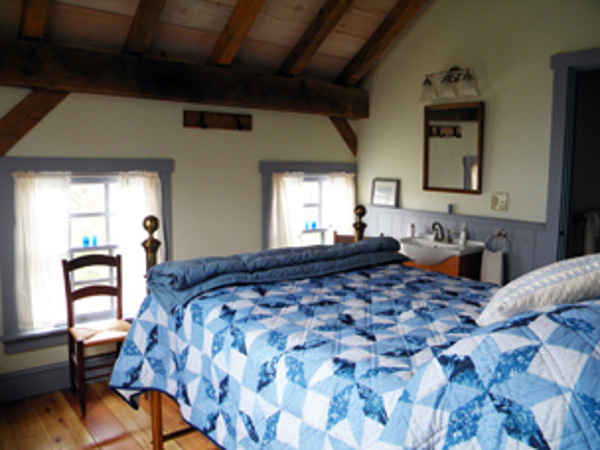 or e-mail: ronorati@hvc.rr.com Bed & Breakfast open year round. Visit Stone Oak Christmas Tree Farm located in Orange County, New York. There are 3 beautiful rooms in a timber-framed barn built by owners/hosts, Rich and Natalie Onorati, who enjoy sharing the Christmas spirit year-round. 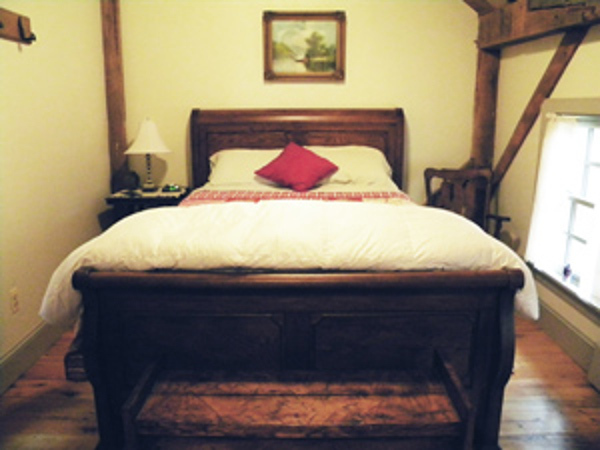 Acres of Woodland surroundings provide a peaceful atmosphere. A large living room, deck, and kitchen are the communal areas. The kitchen is available for light cooking, late night snacks, and hot chocolate. Coffee & Tea are available 24/7. Continental Breakfast includes coffee/tea, juices, and baked goods as part of your stay. Perfect for all sorts of gatherings. Enjoy our picture-perfect woodland location. There are acres and acres to hike, explore and enjoy.